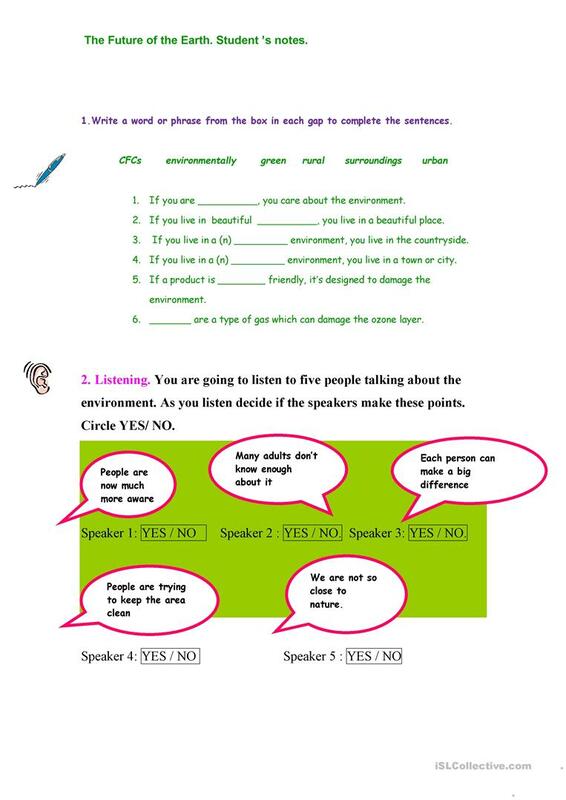 The above downloadable printable is intended for high school students and adults at Intermediate (B1) and Upper-intermediate (B2) level. 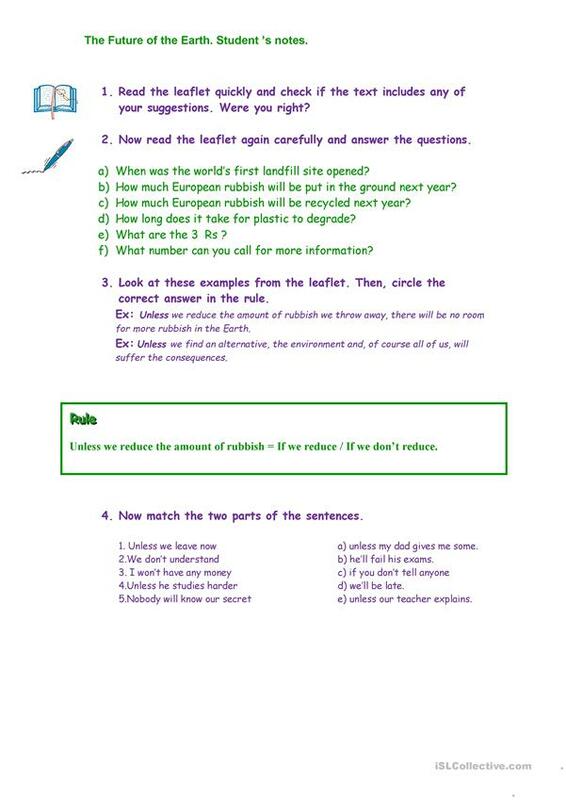 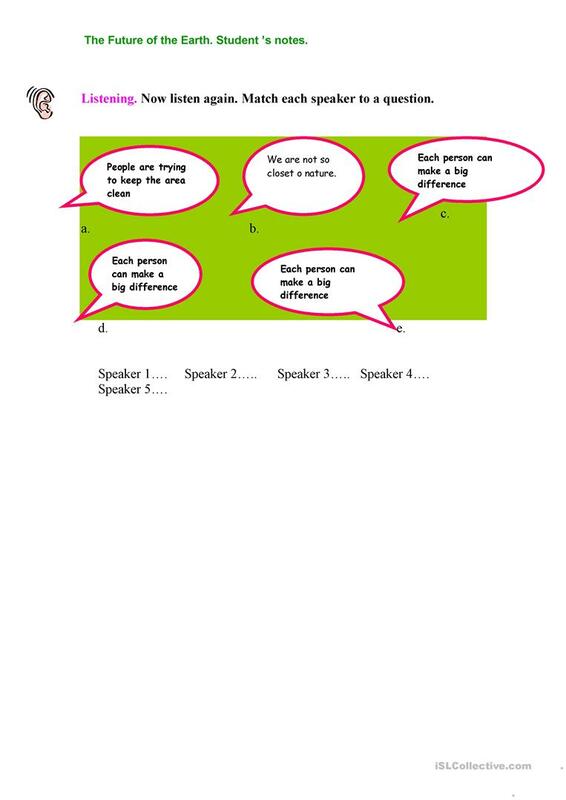 It is a useful material for consolidating Conditionals in English, and was designed for working on your students' Reading and Writing skills. 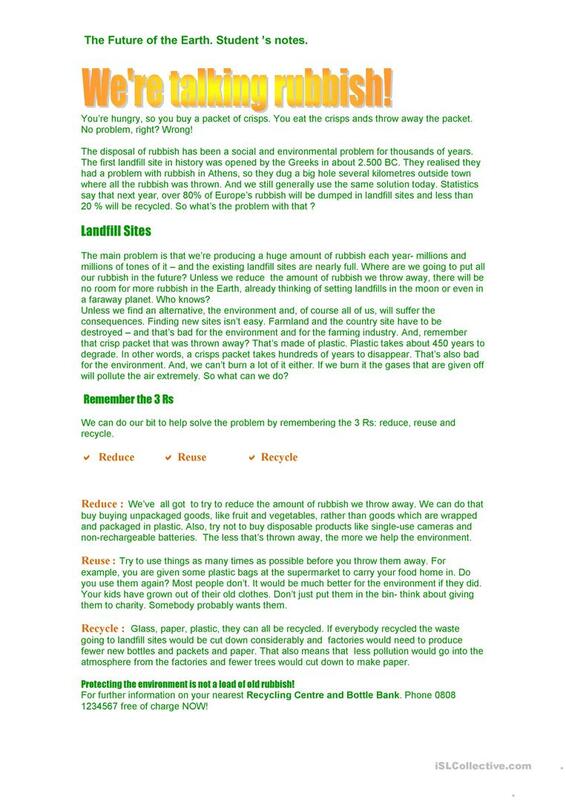 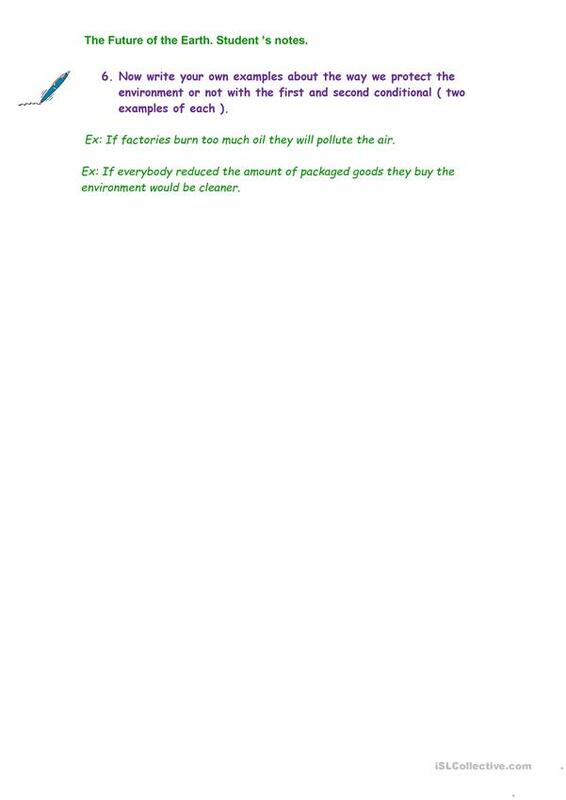 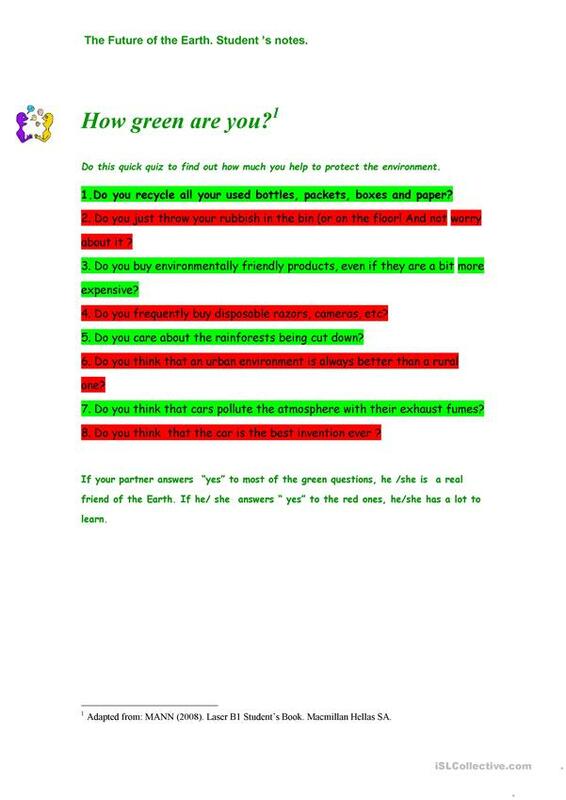 It focuses on the topic and words of Environment.